The Eureka Spitfire Tent review includes the Eureka Spitfire Solo and UL one man backpacking tents, with their pros and cons we evaluate this tent line. From the hospital tents of WWII, to expeditions along the Nile, to sheltering the Kennedy family during lavish parties Eureka tents have been just about everywhere one could imagine. 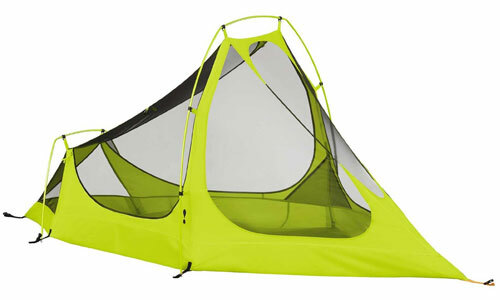 The Eureka 1 Person Solo Spitfire tent is a 2 lb 3oz. Tent designed to provide backpackers with a little more space for the nights spent under stars. The vestibule is 4.4 square feet, with plenty of sleeping room inside the tent itself. 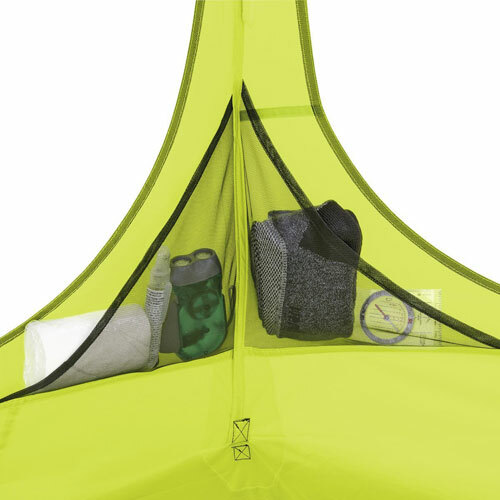 This handy little tent seems to have all the basic equipment for a comfortable night or weekend spent in the wilds of the forest, mountains or your own backyard. 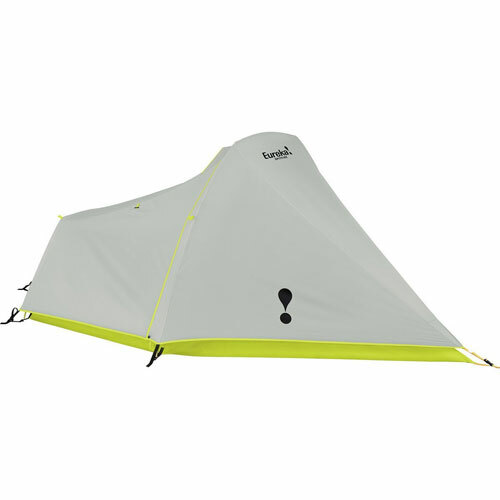 Surprisingly, according to most consumers this little tent has several good points and few bad. 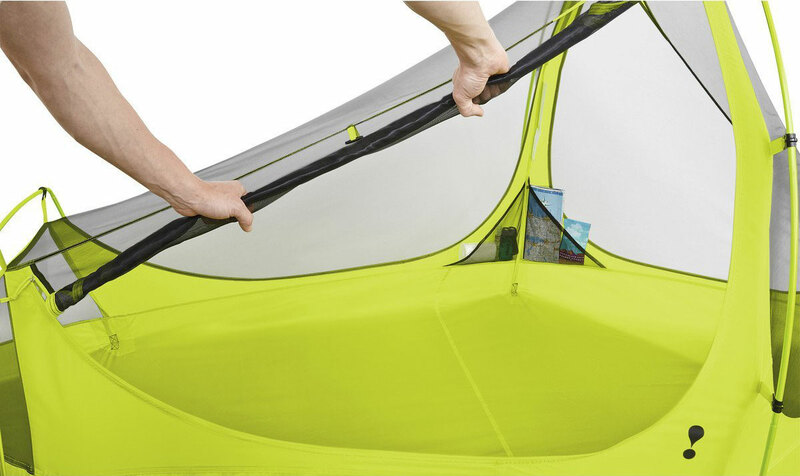 This tent actually received many rave reviews. Reviews found it to be the perfect backpacking tent, “not too big and not too small” as one reviewer put it. There were few bad reviews of this tent and the one I did find, the reviewer seemed to think the tent was too light to be practical. Everyone else seemed to like it and found it capable of keeping them warm and dry when the need arose. The Eureka Solo Spitfire Tent is definitely worth considering more and comparing with other solo camping tents. The Eureka Spitfire UL Solo tent is slightly lighter than the Eureka Spitfire 1 tent. This camping tent weighs in 2lbs 5 oz. Users of the Eureka Spitfire ultra light design tent liked it almost as well as users liked the Eureka Spitfire solo. What users were not so impressed with is that there seemed to be less room inside, and they felt that the tent might be a bit fragile for regular use. Most felt the outer fly lacked something to be desired and one reviewer even suggested tossing out the fly and covering the Eureka Solo Spitfire UL Tent with a tarp. Not every backpacking trip needs to be a solo trip and recognizing this Eureka has designed the Spitfire 2 person tent. Reviews also seemed to take a shine to this Eureka spitfire tent although very limited in comparison to the above Eureka tents, but liking its design and stability. The main con that was mention for this Eureka spitfire tent was that it was somewhat bulky which affects backpacking trips. Also, other backpacking tents may prove to be lighter and offer more room. The Eureka Spitfire line of tents seem to be great tents at a good price. Most users really liked these tents having great things to say about them with only a few minor negatives. The leakage problems that people have been experiencing in some of Eureka’s other tent lines does not seem to be a problem in these tents. Any one of these Eureka spitfire tents including the Eureka Spitfire Solo would be a good value depending on your individual needs.